The Banyan recently submitted a proposal to the Government of Tamil Nadu asking to extend our mental health services at the Primary Health Centre (PHC) of Sembakkam. By doing so, we hope to increase the public’s access to mental-health care by working closely with the well-established public health system. This will also allow us to provide comprehensive care that couples social service with medical attention. This proposal promises to increase our programs in the Thirupporur block, where the Kovalam clinic already services half of the locale. Expanding to clinics in Sembakkam will ensure that the other half of the village will also have access to our resources. While the proposal is under final review, the government has given The Banyan permission to start this program once a week! Therefore every Tuesday, a group of physicians, case managers and community health workers will travel to Sembakkam and hold clinic at the PHC. The government has also asked the PHC to stock the clinics with adequate supplies of psychiatric medicine. In addition to conducting outpatient services, our staff will also provide regular training sessions for the Public Health Staff of Thirupporur Block. These trainings will help the staff identify patients who are at-risk for mental illnesses and direct them to proper care. We are sure that this project will help us reach out to more people in need! However, we needed to encourage the public to attend our clinic! 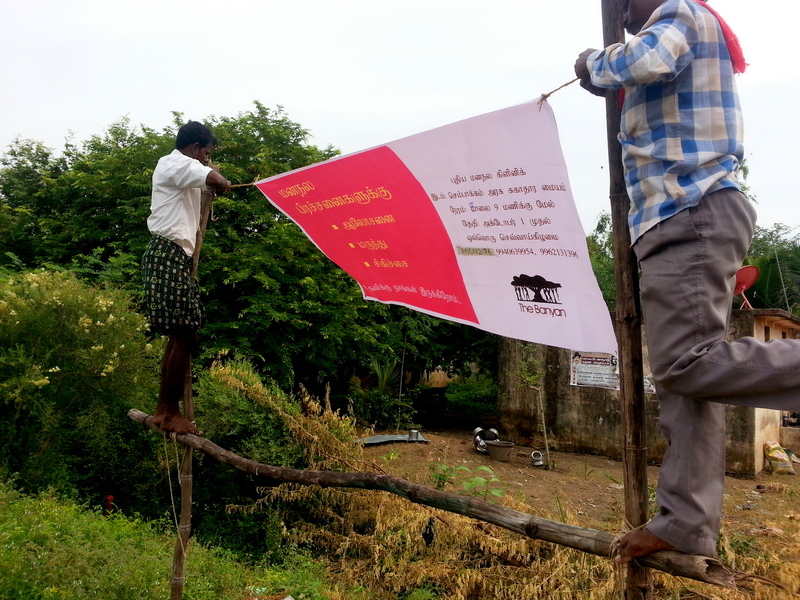 To do so, our staff have travelled to many Panchayats in the area to put up posters and banners. 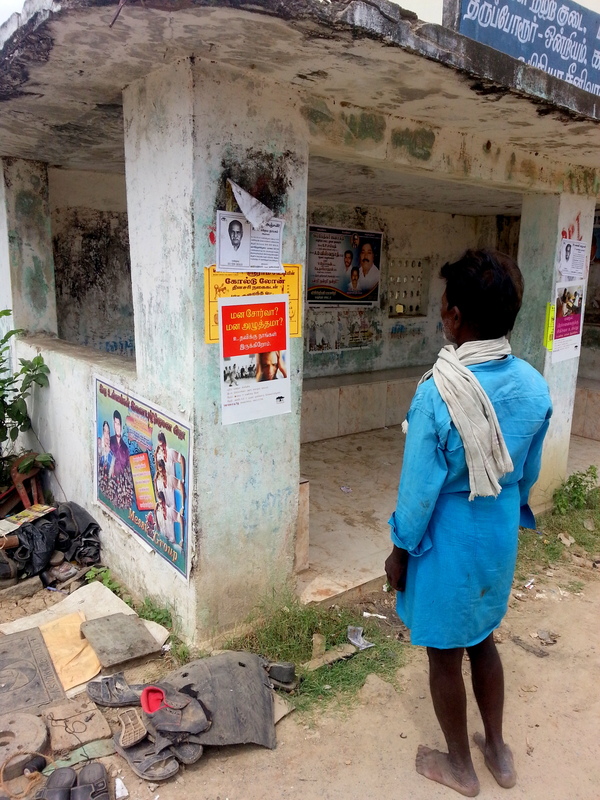 The advertisements have been placed in strategic locations such as bus stops, schools, and panchayat offices. We are optimistic about this publicity, for the staff regularly observed people walking over to read the posters as soon as they were displayed. 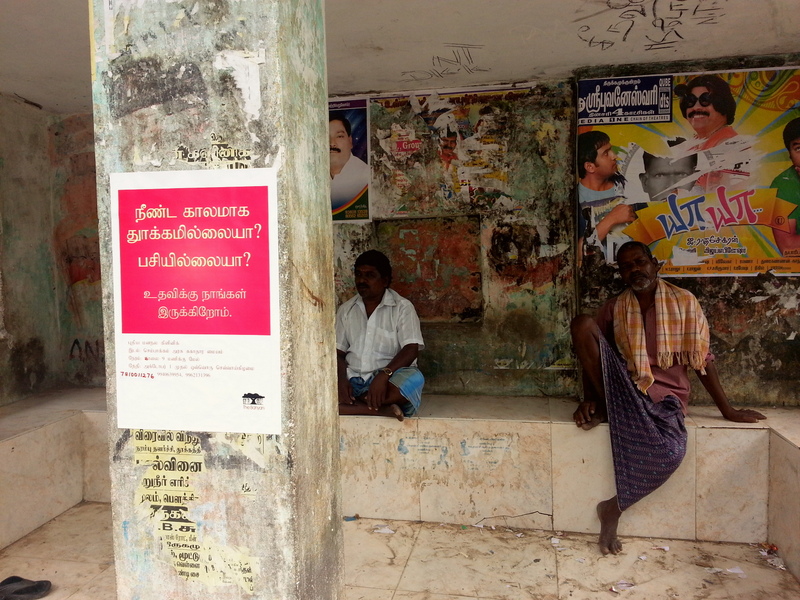 In addition to hanging up posters, our staff members have personally visited the villages of Mailai, Kottamedu, Manamathi, Kunnapattu and Karanai to talk to the panchayat leaders and community about our new program. This trip proved extremely insightful! Our staff learned that promoting the Sembakkam OP from an ‘illness’ perspective drew stigma and elicited hesitation from the general community. Instead, framing the mental health clinic as a place to talk and share womens’ troubles gained a more positive response. Additionally, the staff noticed the remoteness of some of these panchayats. For example, the panchayat leader of Manmathi informed us that the district consisted of 20,000 people, but their closest health centre was 10 km away! The situation is similar in many other panchayats. Some of the leaders even asked us if we could arrange transportation for them to reach the Sembakkam clinic. This certainly gave the team food for thought; the possibility of a mobile mental health clinic for these remote communities! 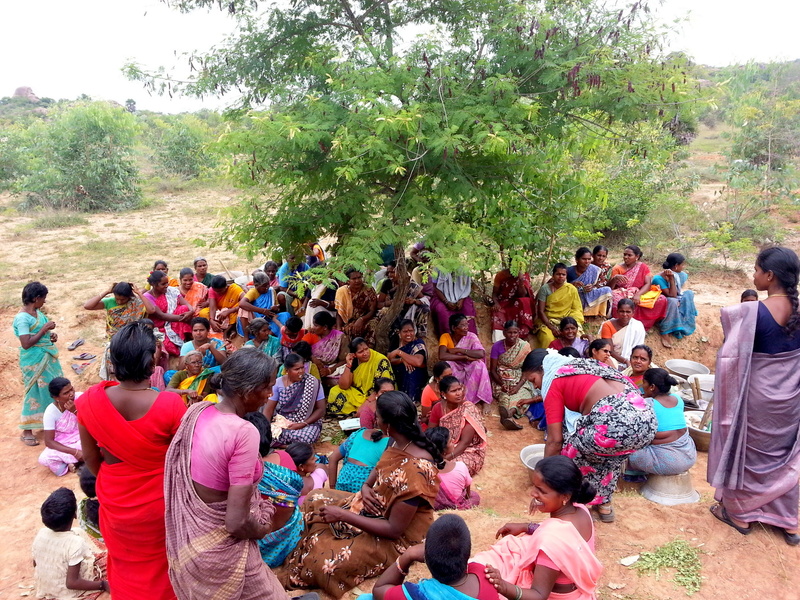 Overall the Sembakkam program shows immense promise in providing care to a community in need! Although we are still a ways away from providing easy access to every village in the area, we are thrilled that the community has responded so positively to our initiative. Most of all, we are confident that our project has the potential to keep growing!